Not long ago we post The Adults Guide To Snapchat to help all you elder folk make the transition into a platform where the language is completely different from other social media apps. With photo and video being the core of Snapchat, it is a new challenge for users to overcome and our adults guide covers the basics of snapping. So now you have mastered the basics, you want more. You want to become a Snapchat pro right? Because once you get on there and start creating content, the next step is creating really awesome content. We are going to cover some useful little tips, bitmoji, memories and different fonts. 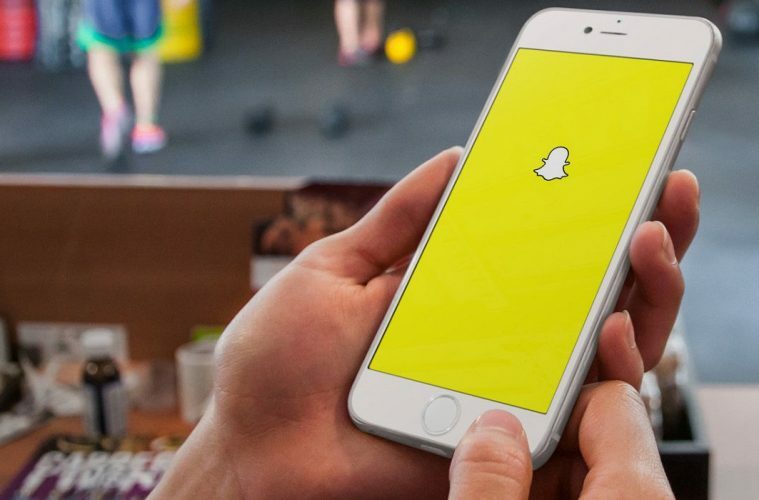 Some of these tips have also been mentioned in the initial guide to Snapchat, think of this as a refresher with some new bits of information sprinkled on top. 1) Use multiple filters – Want to use the black and white filter and the time filter? You can use both. To add a second filter just hold the screen with one finger and then swipe until you find the second filter you want to use. 2) Resize emoji and stickers – When you add an emoji or a sticker you can resize them by simply using two fingers to pinch or zoom. You can add as many as you like. 3) Pin emoji in your video – Pinning an emoji means it will automatically move, rotate and scale to the object you have pinned it to. Simply hold the emoji in one place for a few seconds and it will pin to the object in the video. 4) Draw in black or white – The colour palette for text or drawing does not include black or white, but that doesn’t mean they are not there! To access black and white you need to hold your finger on the colour palette and then drag your finger to the top left of the screen (white) or the bottom left of your screen (black). 5) Add music to your snaps – Want to add music to your snaps? It is easy to do, simply open your music player app and start playing a song. Then go back to Snapchat and record a video while the song is playing, the video recorder on Snapchat will pick up the audio from the song and include it in your clip. 6) Delete a snap – Sometimes you hit that add to story button too quick and you realise you messed something up and have to record a new snap. Go to the stories view. Go to your story and select the snap you want to delete. Hit that trash can button and then press delete snap in the popup. Just like that your snap is no more. On top of these little tips, we are going to cover three great features which can really help improve your Snapchat game – memories, bitmoji and better fonts. Memories is a new feature which was not out when I published the first guide, it is a new feature which is basically an archive of saved snaps as well as your camera roll. You can use Memories to share old snaps again which you have saved and you can also share photos stored on the camera roll. This is a big move for Snapchat, up to this point there was no way of re-sharing content and it was lost forever. So if you create a really awesome Snapchat story that may be relevant again you can save it to Memories and re-share it at a later date. Here is how to use it. Simply select what you want to re-share and press on it. Then swipe up on the photo or video to get to this screen below. Press the pencil button and you will be taken to a familiar editing screen which allows you to add stickers or emoji, add text or draw on your snap. When you are finished simply press the blue arrow in the bottom right and then select ‘my story’. When you are finished just press ‘done’ and decide if you want to discard changes or keep them. You can also export the photo to the camera roll, move to my eyes only or create a story from this photo. When you are finished the snap will appear in your story with a large boarder to signify that this is a memory which you are sharing. The my eyes only section of memories is a password protected area if you have snaps you don’t want people to easily access should they happen to get their hands on your phone and start being nosy. Memories is a big move for businesses and brands who were fearful of creating great content but losing it forever after 24 hours and not being able to share it again. Now there is a way they can hold onto that content and get value from it by easily re-sharing as a memory on Snapchat. Another recent update comes from Bitmoji which can now be used right from within Snapchat. This is an awesome new addition and one which I have been loving so far. Bitmoji are personalised cartoon versions of your avatar which you create. They swept Facebook a number of years ago and were very popular at one point in cartoons on Facebook called Bitstrips. Snapchat bought Bitstrips back in March of this year so we had an idea what was coming and this is how it works. First you need to download the Bitmoji app on Android or iOS. You also need to be running the latest version of the Snapchat app. Start in the bitmoji app, register as a new user and create your bitmoji. Then head over to Snapchat when you are ready and go to settings, click on Bitmoji in Snapchat settings and link the two together. Once you have that done then simply take a snap and click on the emoji button on the edit screen in Snapchat. At the bottom of the emoji menu you will be able to select a new bitmoji screen which will bring up all the available bitmoji you can use. From there it is the same as applying an emoji or sticker, scroll through and select what you want to use. It will be added to your snap and then you can resize it in the same way you did with emoji by using pinch to zoom gestures. Another little tip – Snapchat has added a bunch of new stickers to the app, be sure to check them out! Big shout out to Brian Fanzo for this tip which I got off him. Change up your font to something unique and different. The same font we are all using can get pretty boring so using something unusual can help you stand out. Install the better fonts keyboard as you do any other third party keyboard. I won’t explain how to do that here but if you need guidance just hit up Google – there are a bunch of articles out there explaining how to do it. Take a snap as normal but this time when you go to add the text, change to the better fonts keyboard before you type. Here you can select from a huge range of fonts. Once you have selected a font, go back to the keyboard and type as normal. You will see the text appearing in a new style. It is another great way to add a different element and a personalised spin on your snaps. Hopefully these tips will help you to create new content that can help you stand out from the rest. There are other things you can do to help you really elevate your game such as buying an olloclip lens kit. This will enable you to get the fisheye lens and wide angle lens effects which can be really handy to get more in your shots. Give them a try, get out there and get snapping! Check out some of our other Snapchat content below. Can I Use Snapchat To Drive Business Results?